John Mattone offers Portland executive coaching programs as well as leadership coaching programs that are extremely beneficial for anyone trying to further advance in their careers. Executive coaching programs assist individuals by helping to improve communication, problem-solving, negotiation skills, and more. Typically, John Mattone’s Portland leadership coaching services allow CEOs, executives, and entrepreneurs to advance both professionally and personally. John Mattone’s Portland executive coaching provides numerous benefits for all kinds of professionals. One of the most common reasons why professionals seek out leadership and executive coaching program is to enhance their leadership abilities because they have recently taken on a higher role within their company. Effective and timely decision making is important for anyone in upper-level management positions. John Mattone’s Portland executive coaching program will help you learn how to make sound decisions that will benefit you and your company as a whole. John will show you how to analyze your various options and routes when it comes to decision-making or solving a problem, and come up with the most logical solution. Many leaders struggle with the ability to listen and compromise when it comes to dealing with employees, implementing new processes, and business development. John’s Portland executive coaching services focus on showing professionals the benefits of negotiation and compromise for the betterment of the entire organization. Being self-aware about your own strengths and weaknesses is extremely critical for the advancement of your professional career. John Mattone’s Portland executive coaching will help you identify your strengths and weaknesses while helping you improve in all areas. John Mattone has been one of the most respected and sought-after names in executive coaching, leadership training, and keynote speaking for years. John Mattone offers a variety of executive coaching programs in Portland. John Mattone’s main Portland executive coaching program allows for a select number of managers, directors, vice presidents, and entrepreneurs to work directly with John for a period of 6-12 months and between 40-60 hours of coaching sessions. In this program, John will conduct an in-depth interview with the executive using his own proprietary assessments. He will then follow the executive through their day-to-day activities within the workplace, including overseeing meetings, presentations, and internal communications. Next, he will create a personalized plan that will have a variety of skills to work on that the executive can implement into their management style. John’s C-Level executive coaching program selects a handful of high-level executives and involves highly personal, one-on-one coaching sessions to help grow their skills and leadership abilities. In this program, John will follow the executive during their day-to-day activities. This may include sitting through their internal meetings, attending a presentation of theirs, or interacting with other team members throughout the day. Then, John creates a very customized plan based on what he believes are areas where improvement could be seen. He also creates a list of skills the executive already holds that they can enhance upon. This is one of the longer, more in-depth trainings that last between 6-12 months and includes between 50-75 hours of working with John. This program involves dedicating a time period of three-to-six months and between 10-20 hours of working directly with John on growing your leadership skills. It is designed for individuals that considered themselves to be emerging leaders or have the potential to be promoted to a higher leadership role in the near future. The Monthly Mentoring program with John Mattone is a one-on-one coaching session that typically lasts for an hour and is targeted toward your specific goals or needs. Many common areas of focus can be handling feedback and constructive criticism, improving leadership talent, improving presentation skills, and handling conflict and tension in the workplace. The Monthly Coaching Journey with John Mattone is where John shares a range of advice and coaching tips that he gained while coaching some of the highest-level executives out there. From coaching CEOs to government officials, you will learn many action items to implement into your leadership style through this program. This program is for individuals that desire to become a CEO or a high-level executive within a company. This is for those that may not have the full budget available for a program where one-on-one coaching sessions, but still want to learn the skills and knowledge needed to become an executive in a high-level position. This program is for those who just know that they are meant to be more than their current role or position within their professional lives. It is for those looking to uplift their personal lives and invest in becoming more of a leader. John will teach you the qualities and skills needed to be a successful leader in your personal and professional life. 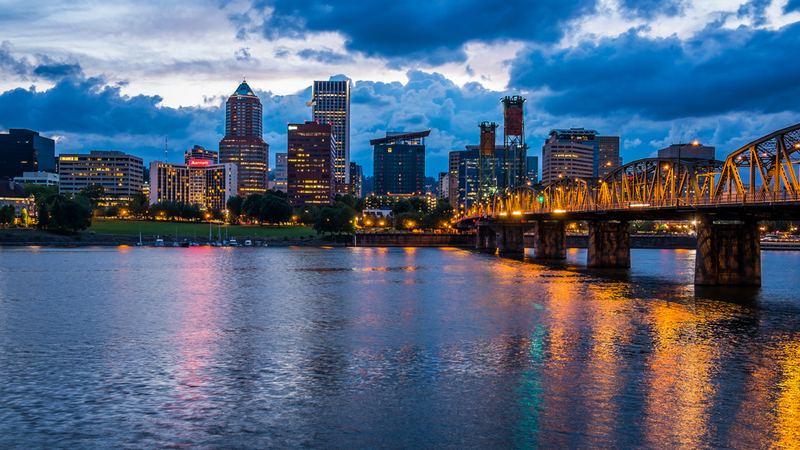 After reviewing all of the above benefits and various programs by John Mattone’s Portland leadership coaching and executive coaching services, you may be wondering what the next steps are. Contact John Mattone today for more information.